The Benefits of Using Nylon 6, Nylon 6/6, and Nylon MDS Over Metal - New Process Fibre Company, Inc.
Manufacturers have considerable options when it comes to selecting material to create nonmetallic stamped parts. Nylon is becoming increasingly popular because of its versatility, especially in nonmetallic washers. With its many product variations, nylon is exceptionally well-suited for use in a range of industries. 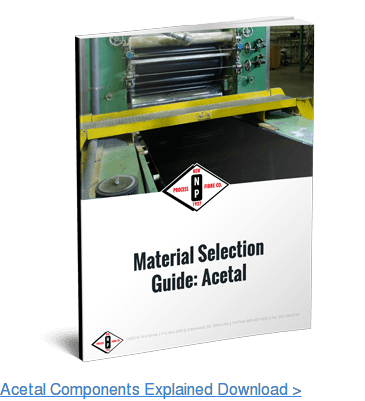 The material, in its different forms, is ubiquitous in food processing equipment, household appliances, machinery components, and more. Nylon 6 is a foundational material on which Nylon 6/6 and Nylon MDS are based. Each is perfect for its own application and an outstanding substitute for metal. Nylon 6 is resistant to abrasion and has high tensile and impact strength, machinability, and elasticity. Its absorption capacity actually increases the more moisture it absorbs. Nylon 6 can be mixed with glass or carbon fibers to improve its performance, and it is non-toxic. Strong candidate for use as a nonmetallic washer in food processing equipment. Nylon 6/6 is composed of a molecular structure of higher order than Nylon 6, heightening Nylon 6’s positive characteristics: higher tensile strength and stiffness, better dimensional stability, and a higher melting point. Nylon 6/6 has a high lubricity and resistance to hydrocarbons; and exceptionally balanced strength, ductility, and heat resistance. As strong as it is independently, adding fillers, fibers, lubricants, and impact modifiers can increase Nylon 6/6’s strength times five and stiffness times ten. Its wide processing window allows for materials to form complex shapes with thick or thin walls, as well. Strong candidate for use as a nonmetallic washer in household appliances. Nylon MDS is next in the progression, and last in our short list. It is a version of Nylon 6/6 with the addition of fine particles of MDS. This addition is critical because it improves the load-bearing capacity of the material while preserving the impact resistance of nylon. It has a self-lubrication level comparable to that of PFTE, which means that the overall service life and wear resistance of Nylon MDS is exceptionally high. In addition to its cost-efficiency, Nylon MDS has superior toughness and durability, and is therefore used for parts that are exposed to high mechanical stresses. 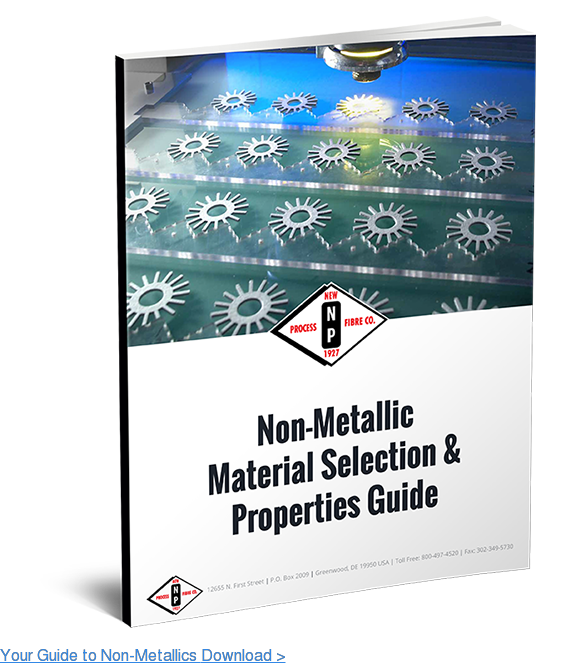 Strong candidate for use as a nonmetallic washer in machinery components. 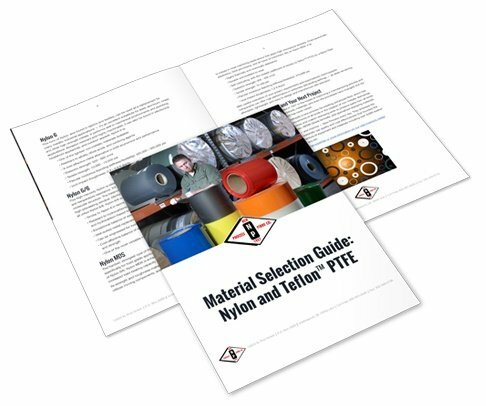 It’s important to remember that these are only a few of the many options Nylon provides; it is frequently used in other industries for additional applications. Our clients for Nylon washers fall into the aerospace, automotive, construction, marine, and plumbing industries. New Process Fibre can effectively produce the quality parts mentioned above, as well as custom stamped gasket spacers, for less investment than metal alternatives. To learn more about our nonmetallic stamping capabilities or to speak with a representative, contact us.